In the world of wellness, there are some seriously unusual, and even mildly frightening practices out there, and there always have been. I mean, take your pick, really: From micro-needling to that pedicure where the little fish eat away your dead skin (ew, I'm sorry, but ew), people are willing to endure a lot in the name of health and beauty. One of the latest practices, in fact, involves having all of your body's knots and kinks taken care of by boa constrictors. That's right, y'all: Snake massage therapy is a real thing, and it happens to be my worst nightmare. 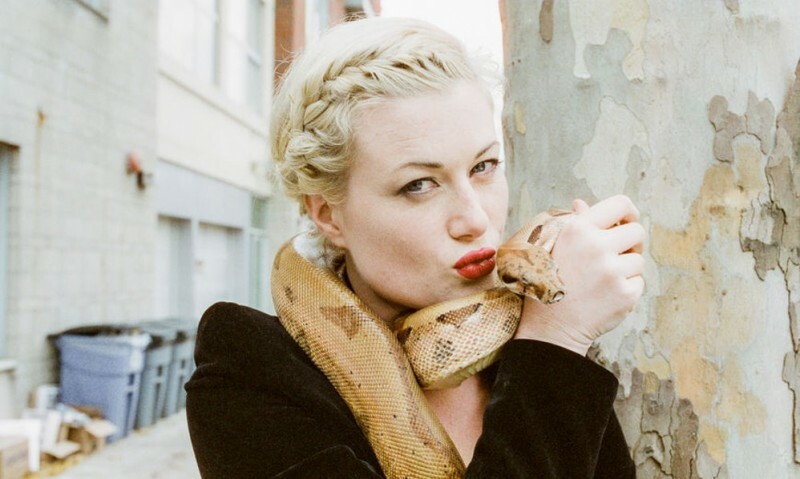 A snake massage is, more or less, exactly what it sounds like: It's just your average, full-body massage, but it's done with the help of boa constrictors. How can an animal without hands give you a massage, you ask? Well, they simply slither their massive, six-foot-long snake bodies along your body, and they either rest their considerable weight along your chest, or wrap themselves around your feet, head, and arms. Anyone else feeling clammy RN? Apparently, according to CBS New York, the pressure of the snakes on your body is supposed to be relaxing, and it may help release tension and fear. They tone and stimulate the vagus nerve in our body and that releases endorphins and oxytocin. Those are the feel good hormones. Serpentessa also told Murdock that, while wild animals offer no guarantees in terms of safety, it's simply a choice of trust you have to make going into the experience. Part of the deal, she added, is releasing your fear and feeling empowered as you do something that is at once potentially terrifying, and deeply stimulating and relaxing. She told Murdock that no one has ever been hurt by her snakes. And listen, while Serpentessa might be doing something a little unusual, snakes have actually been a part of healing and healthfor centuries. Plus, snake massages are apparently a more common practice in other places around the world, such as Indonesia. So really, Serpentessa's just following suit and sharing with others the healing she's received from finding a relationship with snakes. Would you like to reconnect with your sensual wild nature? Are you drawn to the archetype of the Serpent? Are you in a process of change and want to shed your skin? Do you dream about (or have nightmares) about Snakes? Do you trust your gut instincts? The snakes, according to Serpentessa, can help with all of that. And as for whether or not this is a pleasant experience for the snakes, Jayme Waldron, an expert in herpetology (aka the study of reptiles and amphibians), told Allure that because captive snakes are usually in confined spaces, a massage like this might actually provide them with a little exercise and enjoyment. However, Waldron also pointed out to Allure that captive snakes tend to smell bad — do with that information what you will, I guess? Look, even though you can hear the woman in the above video saying, "Oh, how nice," as a snake slithers all up near her neck, the very thought of this whole thing makes me want to scream. I'll just stick with having snakes in my bad dreams, thank you very much.